Before I begin, let me brief you about the status and condition of my skin. I have combination skin, which attracts lot of dirt with frequent occurrence of blackheads, acne and blemishes. And on top of that I have dusky complexion, which get tanned very fast. So, when I first saw this product that claims to keep your pores clean and skin tan-free, I couldn’t help but purchase this product for my skin needs. Now how this product worked for me, read full review to know. Papaya is a luscious tropical fruit with enzymes known for revitalizing and healing benefits. This Revitalizing Tan-Removal scrub is blended with pure papaya fruit to dissolve dead surface cells, unclog pore openings and smooth the way for clear skin to surface. Gentle refining action uncovers skin’s natural brightness for a younger-looking complexion. Massage on wet face and neck with fingertips. Avoid eye area .Remove with water or damp washcloth .Use daily or as needed. Biotique is stuck with their usual round shape white colored tub with dark green lid packaging. This product is no different; it also comes in the white color tub with a dark green color screw lid. The packaging is simple and pretty boring to be honest. I personally don’t like tub packaging because it gives me that unhygienic aura but the consistency of this product is quite thick, which explains the tub packaging. It is easier to get hold of the product and it does not create a mess. It is a travel friendly packaging. The texture of the product is thick, muddy and it has black color scrubbing granules, I guess those are refined papaya seeds. The granules are good for exfoliation. The granules don’t feel too harsh on skin while exfoliating. The scrub has a mild fruity smell, which fades away after a couple of minutes. This face scrub is quite different from other scrubs I have used till date. 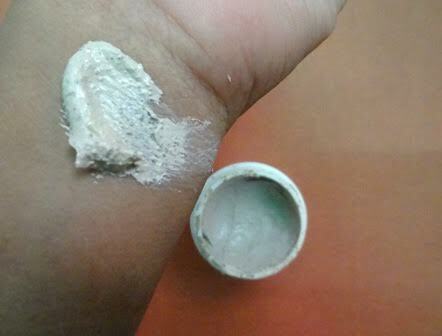 It is not cream based or gel based but rather muddy in texture. It is thick and its granules are big and medium sized, which gives an idea that it might be quite harsh for skin but its rather opposite, it exfoliates all the dead cells from skin without harming the skin, causing redness or stripping the natural oil from face. 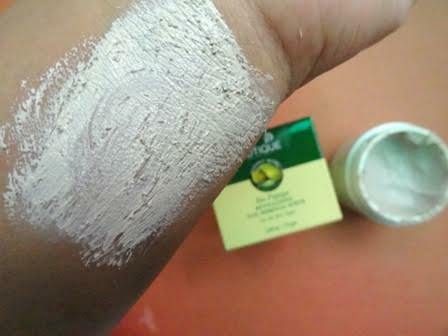 The scrub can be used as body scrub too, it works effectively in removing tan from hands and legs. A very little amount is needed for exfoliation as it spreads a lot and a little amount goes a long way. A very little amount covers the whole face and neck. It does not feel harsh against the skin but people with sensitive skin should use it carefully. It cleans the pores thoroughly and helps to get rid of white heads. It really brightens up the face and works in area of tan removal. So, yes the claims made by them are true. It does remove tan. You can see instant difference in your skin after using this scrub. The skin looks bright and lively. The effect is long lasting as it removes tan from face, so my face looks bright till I step in sun again and get all skin kissed. For extra benefit, I leave the scrub on my face for a couple of minutes like mask then wash it off with cool or normal water. 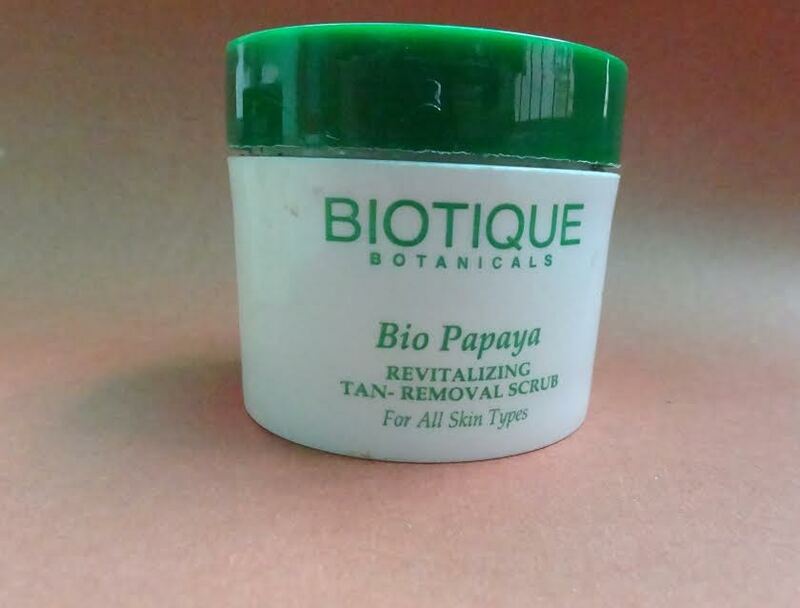 The best part about this Biotique scrub is that it is all organic and natural, so no worries about getting any kind of skin allergy or reaction. I love this scrub because I have seen improvement in my skin after using this scrub. After usage my skin looks bright, soft and oil-free and pores are clean. This scrub really revitalizes the skin, gives it a new glow and keeps skin healthy and beautiful. This product really worked out for me. It is pocket friendly. The quality is fabulous. -It is easily available offline and online. -It scrubbing granules are average sized. -It is easy to carry round. -It is organic and herbal. -It revitalizes skin and keeps it healthy. 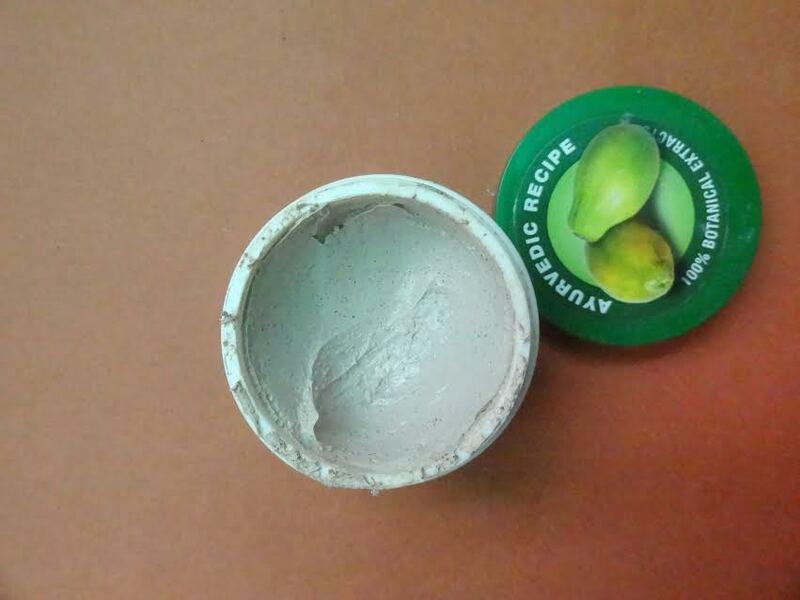 -It helps to remove black heads and white heads. This is one of the best scrubs I have used till date and I am in love with this scrub. It turned out to be an amazing product. It exfoliates your skin and removes tan, revitalizes your skin with it these claims are true; I actually saw difference after one use. I will recommend this product to everyone who wants to experience so many benefits from one single product. My scrub is almost over, so definitely going to buy another bottle soon as summers are coming too. The scrub is gentle on skin and keeps the pores clean and dirt free. It’s a coincidence, just today I wrote that I ever tan, I only get red and it’s painful, so avoid the sun. This Biotique tan removal seems to be good for people who tan, I never heard of products like that! Hope you have a beautiful week! I used to use this during my college days but I forgot about this scrub. Could definitely use this during the summers to remove tan. Thanks for sharing this informative post with us. now I can use this cream for pimple problem. So glad that it exfoliates and revitalizes the skin when removing tan. This product is I think what I am looking for. Sometimes when I use tan removal cream, it leaves my skin dry. I have not tried this product yet and I hope it would give me result as they claim. Thanks! This brand is not familiar to me but I guess the quality is worth to try. During summer season I am always in search of quality tan removal scrub. If this work better than my current tan removal, I’ll switch to this. Face scrubs are suggested to be used once a week for best results.